NordVPN Review – Is this the VPN of 2018? NordVPN is a VPN service that is not the cheapest but is relatively cheaper in comparison to others which allows the users to browse anonymously and securely to their heart’s content. Their virtual private network (VPN) servers have double data protection with the use of OpenVPN tunneling protocol and 256-Bit AES encryption. This NordVPN review consists precisely why this VPN is better for safeguarding online privacy instead of using a proxy or a free VPN service. NordVPN is a Panama based VPN which is a zero log legislation (does not have mandatory data retention laws), making it a remarkable choice for its users. The VPN never tracks your online activities. It has the strongest encryption with 256-bit online security. No one can penetrate the highest level of security that NordVPN has to offer. With 6 simultaneous connections, the VPN is good for small businesses and start-ups. Not just that, it is great for households and individuals too to access restricted websites, enjoy the P2P activity and even US Netflix. Other strengths of the VPN are that it has a user-friendly app and has a wide server coverage. However, there are positives and negatives about everything though and this NordVPN review will cover just that. NordVPN boldly claims to be ‘The World’s Most Advanced VPN’ and so far it has built up a strong customer base to prove themselves right. Yet, we went ahead and put the VPN through multiple tests to see for ourselves. Kill Switch: NordVPN has Internet Kill Switch feature that kills connection automatically if for any reason the VPN connection drops or is interrupted so that your IP isn’t exposed to the program or service you were using with a VPN. DNS Leak Protection: If your NordVPN setup is manual or your Windows has reset recently, then you are easily prone to DNS leaks. These DNS requests are then unprotected which kills the purpose of using a VPN in the first place! NordVPN overcomes this problem by implementing measures to protect any IP leaks whatsoever. Smart Play: This is a technology that lets you access over 400 geographically restricted services such as Netflix, BBC iPlayer, Amazon, Hulu and more. This is an app-based feature which is definitely a bonus especially with more and more VPN servers becoming unable to access Netflix. Onion Over VPN: NordVPN facilitates the ability to route your traffic through their VPN and then to the Onion Router (TOR network etc) for extra protection. 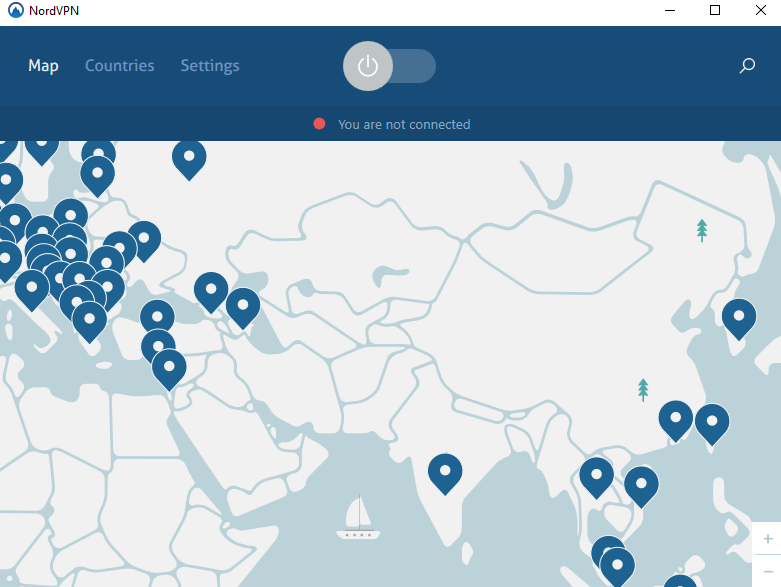 Apps: NordVPN not only has applications for Windows, Android, iOS, Mac but is also compatible with a router and has tutorials for protocol connectivity with over 40 other mobile devices. Protocols: NordVPN has encryption algorithms that beat industry standards by a margin. Going all out on security, NordVPN has IKEv2/IPsec, AES 256-GCM, and 3072bit DH key. Its best protocol is OpenVPN with 256 AES and 2048 DH key. This sets a bar for the other VPN providers in the industry. With NordVPN’s double data protection feature turned on, through double encryption your data will relay two subsequent VPN servers until finally reaching the website or application you were trying to access. The process of encrypting data twice is done by chaining your connection through two VPN servers. Along with that, when double encryption takes place, the second VPN server is always unaware of your real IP address and the connection is made through OpenVPN (UDP, TCP) protocols making it secure even further. This extra step security feature is great for businesses and individuals who make bank transactions and such online. However, individuals who just need it for Netflix or torrenting, this is not really a necessity and any VPN that supports P2P would fulfill the purpose for them. Dedicated IP is particularly beneficial for those who want to get access to IP restricted networks and services such as Netflix. It gives a personal IP with a better and faster connection. Dedicated IPs also get you a greater bandwidth allocation which means you will never have an uninterrupted experience. The provider aims to be in the market to bring optimum privacy and security for its users and it hasn’t compromised on that even once. Taking it to another level, it has introduced Internet Kill Switch which automatically blocks the device from accessing the internet if the VPN connection drops for any reason. Users who complain that their ISP still has a hold of their activity even after the use of a paid VPN is because their VPN provider is probably not offering a Kill Switch feature. It is imperative to have this to maintain privacy after connection and it is one of the factors to consider when buying a VPN. If the VPN service they use is without a Kill Switch, they will be exposed to the websites they are not allowed to use and will be restricted again along with getting back in the radar of their ISP. 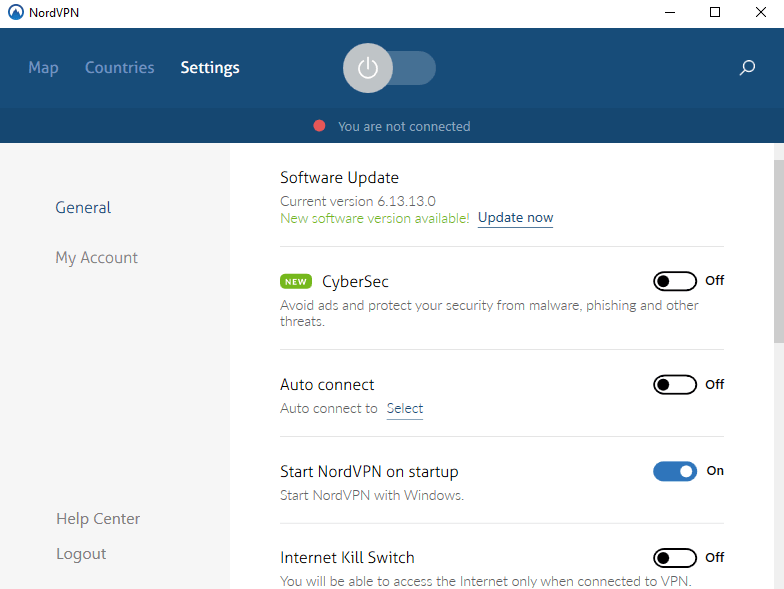 Once the connection is established with NordVPN and you start browsing the web, NordVPN’s malware protection feature starts its work in the background. The feature starts blacklisting malicious and phishing websites that are made for the sole purpose of storing your personal information. To solidify its protection, it has also added a DDoS feature which encounters DDoS attacks which do not allow your device to access the same websites simultaneously. NordVPN gives you 6 simultaneous connections, implying that you can secure 6 devices in the price of just 1 account. You and your friends, or a whole household can use one account at the same time. Additionally, if you configure a router with the VPN, then you every device on the network will be protected, without any limit! NordVPN has a whole lot to offer, some as per standard and some unique. Amongst the unique, it has Free Proxies to offer to its users. It can be obtained through the free proxy list on the website. Nord has over 3350 free proxies for its users which can be chosen based on country, port, and protocol speed. It also lets you choose its anonymity level. The protocol recommended for NordVPN is OpenVPN as it is the most efficient. Recently, it has become the most popular protocol. OpenVPN uses OpenSSL and encryption library. For those who are not very technologically advanced, just need to know that this is the protocol that has an edge over the others. It is the best for online security also as many influential top organizations use this protocol to secure their sensitive data. The interface of NordVPN is intriguing yet simple. It is not redundant to the eye, but at the same time, it is not complex enough that the user would not know how to use. As soon as you sign in, you are presented with a screen giving you an option to connect. There is a map that shows you the server locations spread out across the world. 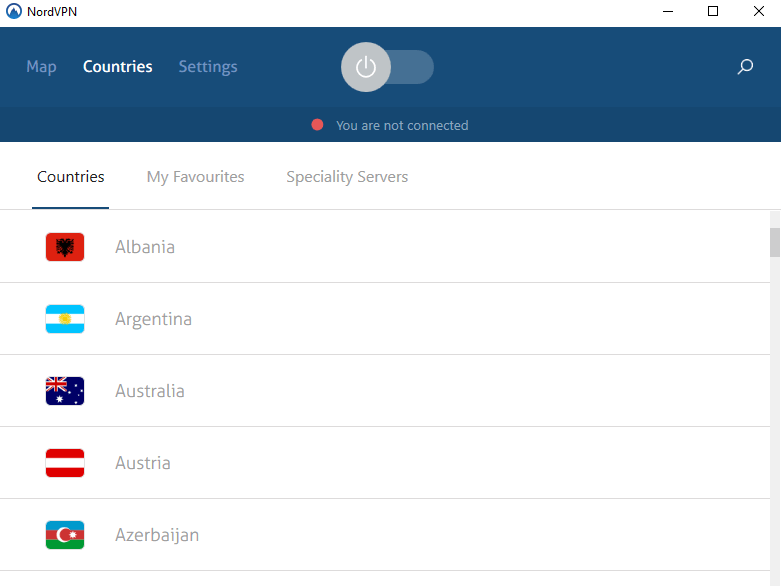 Then there is a countries section next to the map that lets you connect to the server location of your choice. 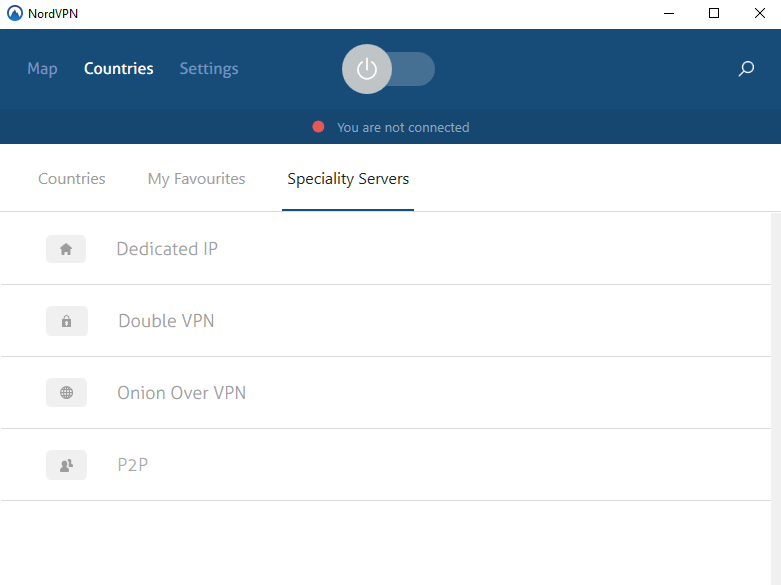 Choose the server as per your requirement or connect to the dedicated IPs, Onion over VPN, Double VPN and P2P compatible servers that NordVPN has to offer. The last tab is for settings which have a toggle button to activate or deactivate security features like CyberSec, Auto Connect, Internet Kill Switch and more. The app is comprehensive and well-equipped with everything that is required to protect your connection from threatening third parties and intruders. Even with all the features and options available on the app, it is still easy to use; catering to all preferences and needs of the users. For purpose of this NordVPN review, we tested the app on different devices. It is safe to state that NordVPN has excellent compatibility with all the major platforms. The VPN service offers support on almost all platforms with the protocols mentioned above. NordVPN is well compatible with iOS, which is a leading platform. It provides great service for iPhone and iPad. The app can be downloaded from the App Store for all iOS devices. All you have to do is go on the app store, search for NordVPN. The installation process is simple there on. The VPN client for Windows is available on the web for download – free of cost. It takes a few minutes to download the app. It has all the security features from Cybersec and dedicated servers to kill switch. The kill switch feature is especially important as it prevents your location from being exposed in case your internet connection drops. NordVPN has an extremely capable software for Mac. The dedicated app can easily be installed on your Mac device. The download process does not take much time and if your internet speed is adequate as per standards, then it hardly takes any time. You need to first sign up for an account, a paid subscription, and then you will be emailed your credentials. After that, you can download your desired app, put in the credentials, connect to a server of your choice and you are secured! NordVPN is compatible with all Android devices and their versions. The process, like all other devices, is simple and straightforward. All that’s required is to sign up for an account, download and install an app on Android, open the app and put in credentials, connect to the server of your need and you are sorted! Enjoy online anonymity completely on your Android devices – phones, laptops, tablets – with NordVPN! NordVPN provides a plugin for chrome browser. With this feature, you can secure your activity that is passed through your browser. The chrome extension lets you connect with servers from 62 countries and has an inbuilt WebRTC leak protection. There is nothing more to this feature. It does not let you shuffle between protocol options and does not allow any other configurations. Yet, it is a convenient feature that is a fast and solid solution to privacy! The Firefox extension is much similar to Chrome extension but only slower. It is unstable and takes time to load. It even provides minimalistic features but the good part is, it is convenient to use and user-friendly. Once configured with a router, NordVPN benefits all the devices that the user connects with the VPN-enabled router. It encrypts the internet traffic of all the devices on the network automatically. This is especially useful for a household with multiple devices or a small company. NordVPN stepped into the industry in 2008, as stated on the website. It is located in Panama and is operated by Tefincom co S.A. This is common practice by many leading VPNs in the industry as they too locate themselves in independent countries that don’t share information on logging, for user privacy purposes, such as British Virgin Islands, Caymans, Singapore, Switzerland and more. The only glitch that occurred was while testing their payment procedure the payment went to CloudVPN which is located in the US making us question if they really are in the Panamas as they claim to be. Though, in defense, they did state that CloudVPN has nothing to do with the service and it just acts as a payment collector to avoid bank suspicion of payments made to Panama. Most VPN providers keep logs of the same, which makes it normal practice and nothing to worry about. This does not in any way affect the privacy and security of the VPN user. NordVPN has plenty of servers, a majority of which work well with restricted sites such as Netflix and BBC iPlayer. Not just that, it works well with torrenting and keeps the user profile anonymous throughout. Not all the servers work with Netflix, but that is normal with Netflix as it tries to actively and rigidly crack down IP addresses that belong to VPNs. Overall during testing, we concluded that there is only a 1 in 5 chance that the server doesn’t work with Netflix otherwise 4 out of 5 do work. Canada VPN server is blocked by Netflix but the United States, United Kingdom, and Netherlands VPN servers are still working well with the streaming service. Torrenting has also been made fast and easy with the special NordVPN P2P servers. They are to keep your torrenting activity private, safe and anonymous. To access the P2P servers for torrenting you can do so via the specialty server list on the application. The most important thing that everyone wants to test out is the speed and performance of the VPN. NordVPN’s speed wasn’t that great initially but they weren’t very slow either. In comparison to other VPNs, their speed is on the top. NordVPN’s download speed is higher than 70 Mbps, which is more than most leading VPN services. A frequent issue with many VPN services, even the best ones, is constant disconnections. Often VPNs fail to connect to the servers or the app shows an established connection but the IP test shows otherwise. Fortunately, this is not the scenario with NordVPN and the service by them is as consistent as they come. Also, their Kill switch is their crowning glory, out of many, as it crashes all the websites as soon as the VPN connection drops. The feature is not just there to toggle with, it really does work splendidly well. When tested for IP or DNS leaks from different websites, there were none such leaks found. Checked it for DNS leaks with 6 websites and it is safe to conclude that your IP or DNS will not leak when connected to NordVPN. Moreover, when tested Chrome extension leak test, NordVPN proved to be exemplary there as well as it did not need fixing. With P2P compatibility, Obfuscation and Double VPN, NordVPN provides 1900+ servers in the United States. The USA server is popular amongst NordVPN users to unblock Netflix US and other such streaming services. Along with that, it also gives convenient access to content that is otherwise restricted for people located outside the United States. For those who enjoy British content but live outside the UK, NordVPN is the one for them providing 556 servers. The UK servers as well are P2P optimized and are well suitable for torrenting activities. Other than that famous platforms such as Amazon Prime and BBC iPlayer can also be unblocked with NordVPN’s UK servers having Multihop capabilities. The demand for VPN has increased in Australia, US and such countries ever since the government introduced the mandatory data retention laws. The users in the country can enjoy digital privacy with 190 NordVPN servers in Australia. NordVPN is efficient in China and tackles the great firewall there too. This is the reason why this VPN becomes a great option for anyone who plans on visiting the East Asian Country or is an expat and wants to access their media/content. Just hit connect to NordVPN and access restricted applications and websites such as Facebook, Twitter, Snapchat, Google and more. Not just that, also get access to geographically restricted streaming services like Netflix, Hulu, etc.! All of the NordVPN servers provide Dynamic IPs though you can also get Static IPs if that’s what you prefer. However, these IPs come at an additional cost. The Static IPs can be requested via the Contact Us page. Static IPs are a good choice for those who want to access Netflix US from outside the United States. NordVPN can be contacted through live chat and email both. The support can be emailed at support@nordvpn.com and they will get back to you shortly with a detailed response. You can also reach their live chat any time of the day; be it to check the router encryption or to get a simple setup guide for your device. Whether you’re new to the VPN world or already well informed, there is always one thing or the other that you may need to ask or get clarification on. For any technical questions or such, NordVPN proves to be worth their salt with their prompt live chat, informational blog, how-to setup guides, and quick email support. If the live chat is not sufficient, you can resort to their email support for detailed responses of technical questions. NordVPN’s customer support aims to fully resolve your issue through their dedicated agents providing exemplary service. With answers to all basic questions about the VPN. The answers are adequate for understanding and concise. For a quick preview and insight of NordVPN, the user should skim through after getting a subscription to the service. The ticket system can be reached out to with a form on the ‘Help’ page. When you click on the help page, you will get a pop up on your screen with FAQs, Live Chat and Email options. You can use the email ticket system from here and you will be written back to within 10 hours of issuing the ticket. For instant support, there is a live chat at your service. Within minutes you will be responded to for your complex issue or any other query. NordVPN’s pricing is straightforward and simple. There are no hidden charges and the price of each subscription plan is clearly stated in each plan. The most popular package is their 1 Year package which saves the most in total; billed at $83.88 every year with 41% saving. What’s great from a privacy point of view is that subscription plans can also be bought with BitCoin, which will be anonymous and a user does not need to provide much detail. A user can pay via PayPal Credit card or AliPay as well. This all-inclusive plan at such an affordable rate is all that a VPN user wants. With no caps on bandwidth and a high-speed connection, NordVPN is everything that the users look for and favor. In short, NordVPN has a cheap cost for optimum security. Payments can be made via iTunes and Google Play which yields quite convenient for the user downloading the app directly on their device. This makes it difficult to commit to the one month to test out the service, however, there is an alternative. You can resort to the 3-day free trial provided by NordVPN. To get the free trial, email at support@nordvpn.com and you will be given login credentials for your account. NordVPN gives you access to your favorite content from all over the world. Watch your favorite movies on US Netflix with a huge list of servers that NordVPN has to offer. Users can go to the help section of Nord’s website to get more clarification on as to which different regions can Netflix be accessed from. Then comes another popular streaming website – BBC iPlayer. You can catch all your favorite UK TV shows and more via a NordVPN connection. Not just that, you can watch all shows live or recorded with NordVPN’s UK servers allowing you to stream British goodness with convenience from anywhere in the world! Another treat for entertainment buffs? NordVPN also gives easy access to the famous streaming service, Amazon Prime Video. Gratify your media content craving by hitting connect to Nord NPV via your desired server! There are a few cons associated with the VPN service as mentioned above. The first one that makes most people reluctant is their refund policy that can take up to 30 days. So that goes to say that their 30-day money back guarantees works but comes with a caveat – it takes 30 more days to process the refund. Knowing that money will eventually get back to you gives relief to the user and doesn’t make it much of an issue, however, it does affect user experience slightly negatively as the other VPN services provide refunds within 7 days. Though this drawback is again not a big deal, because the kind of service that NordVPN provides, wouldn’t need a refund. NordVPN is a top VPN service that is recommended for all purposes, hands down! It is secure, fast and with the largest server park of 4870 servers in 60 countries. If they are persistent with their quality, they will be number 1 in no time. The brand NordVPN strongly fights the world’s prevailing issues – online privacy and security. The inbuilt automatic kill switch along with a combination of features make NordVPN one of the best VPN services and highly recommended!